"I would heartily recommend Home'N'Spec for a home inspection. They were extremely thorough in our home, inspecting all aspects of it, indoor and out. They also had great tips for things we could do ourselves to improve the efficiency of our home and to save money. Right now we are in the process of acting on many of their recommendations. I would encourage anyone thinking of buying a house to give Home'N'Spec a call." "Home'N'Spec were very thorough in their inspection and very helpful on explaining everything they were doing. They took their time to educate me as they were inspecting so I knew what they were talking about and learned a great deal about my new house. 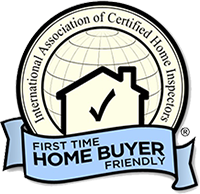 It was a pleasurable experience and I highly recommend Home'N'Spec to anyone requiring an Home Inspection "
"I am not very knowledgeable about the inner workings of a house and Home'N'Spec took their time to ensure I understood everything they were doing throughout the inspection process. They were very helpful explaining everything they inspected and educated me on general maintenance issues and what to look for in the future. If your looking for a professional quality home inspection look no further than Home'N'Spec"
"I felt uneasy walking around my house with the inspectors but they were very friendly and took the time to explain everything they were doing. They were very thorough and made the whole experience enjoyable. Their complete exhaustive report was given to me at the end of the inspection and ever explained to me so I could understand. It gave me a great sense of Peace of Mind and I would highly recommend Home'N'Spec to anyone requiring a Home Inspection"
"Home'N'Spec has assisted many of my clients with the purchase of their new homes. Not only are they thoroughly impressed, but come away with a much greater peace of mind about the house they will call home. I can heartily recommend Home'N'Spec both to other realtors and prospective home purchasers as well"